Posted July 4th, 2017 by codastar & filed under Uncategorized. In light of the recent tower fire in Grenfell tower we have had a large uptake in calls and mails about the sweeping of oil fired appliance flues due to the failing of fire safety certificates.This is something that is usually forgotten about as many large companies employ oil service engineers and expect that the flue is swept as part of the service, this is rarely the case. 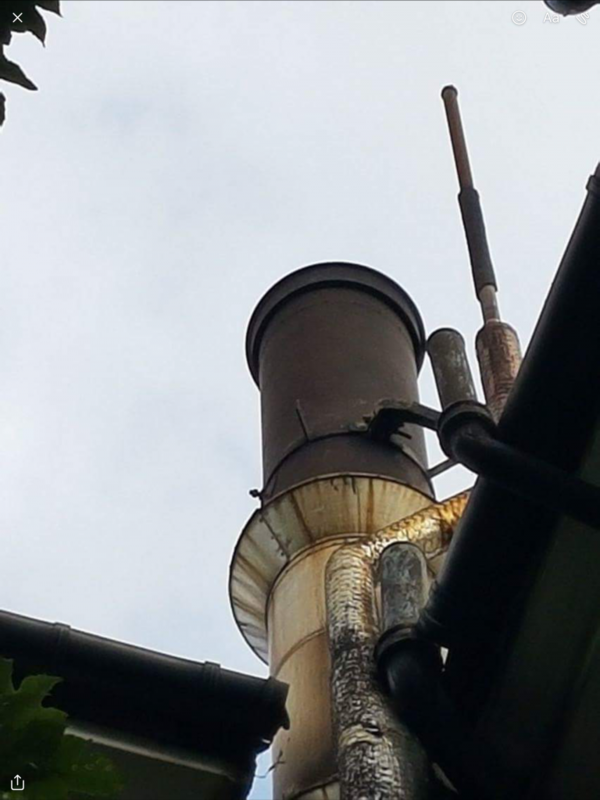 The chimney sweeping of oil boiler flues is rarely undertaken and is a growing problem in the UK mainly London. It is recommended that the sweeping of an oil boiler flue is undertaken at least once yearly, ideally prior or during the service of the boiler. This is to remove soot build up from the combustion of oil; this collects inside the flue system and will affect the draught and flow of the system. When flow and draught is decreased the efficiency of the boiler is then affected negatively. The less efficiently the burner is running the more soot is formed; this will result in either in eventual blocking or chimney fire. Oil is not cleanest of fuels, it often mistaken that only solid fuel appliances need sweeping. This is not the case Gas, Solid fuel, Oil, and Biomass flues all require sweeping and clearing of soot and other deposits. Access is an issue: from experience having been on site to sweep oil boiler chimney systems, access into the flue ways is always difficult or may not be possible. 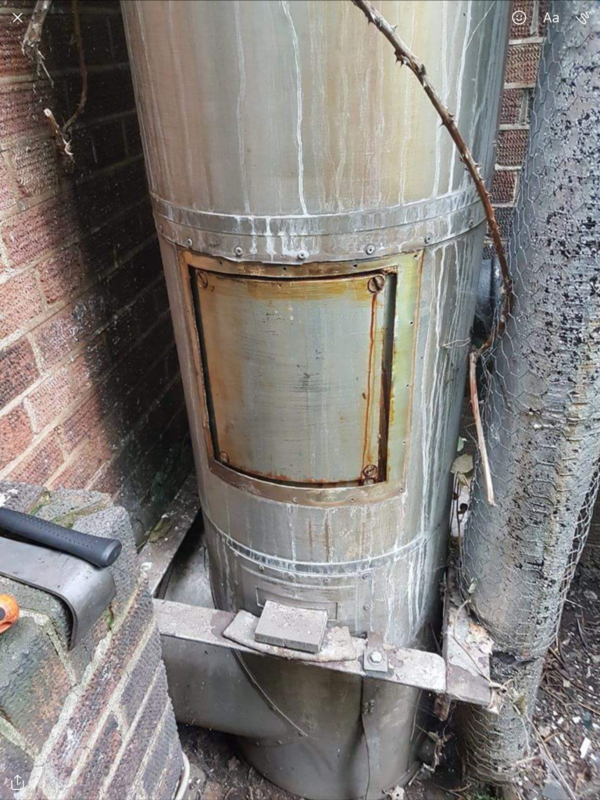 If it is possible then it is mainly found that the main run of the chimney has an access panel leaving the rest of the chimney difficult to access, inspect and ultimately clear of soot. 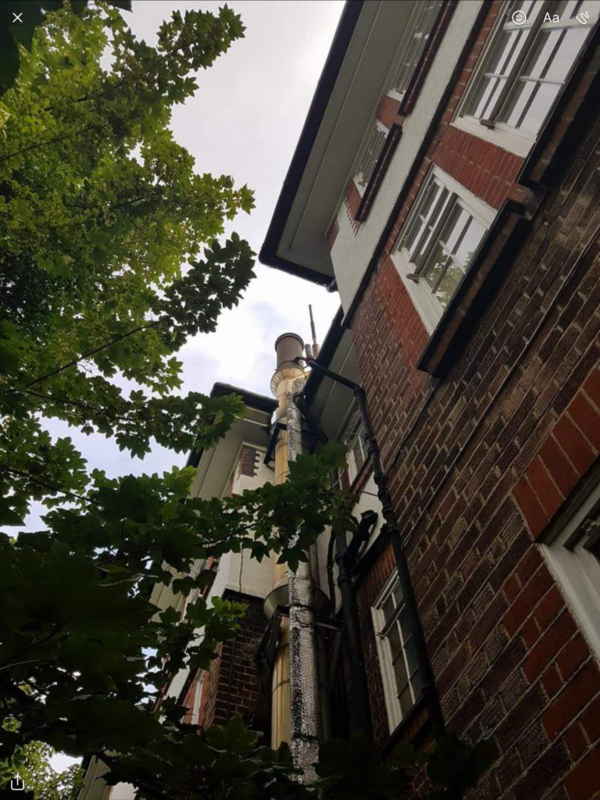 From experience it is the case that many of these flues have never been swept, this will affect the function of the boiler, massively increase risk of chimney fire, increase risk of harmful gases, entering the property and effect insurances. Soot door is seized shut. 20 years of oil soot build up terminal is blocked and the flue is heavily sooted. In light of recent events it is the advice of a professional chimney sweep that you maintain both your appliances and your chimney/flue systems. As a landlord or management agency it is your responsibility to maintain heat producing appliances within the property, this includes the chimney. Give Clean Sweep Chimney Services a call today on ‪08000434737‬ for any enquiries for the sweeping of commercial or domestic flues systems. So you only work in London? I’m near Guildford in Surrey. We have sweeps covering most of the south east. Guildford is probably out of our way a little. If you message us we can reccomend someone local if needed.